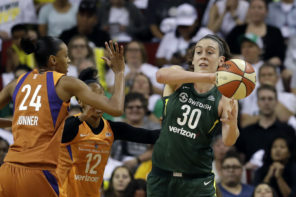 Yeah – it may only be preseason, but it is still WNBA basketball being played and after another excruciatingly long offseason, we believe excitement is in order among the WNBA’s fanbase. A highlight of the offseason up to this point was when the Las Vegas Aces took the court for the first time at the Mandalay Bay Events Center as they took on the Chinese National Team. It was a banner preseason debut for A’ja Wilson as she tallied 20 points. Nia Coffey added 15 and it was a 98-63 blowout in the Aces’ favor. The preseason debut for the Chicago Sky on their new homecourt – Wintrust Arena in Chicago was not as successful as the Aces on its. 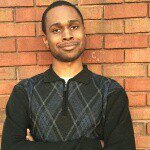 Chicago’s first preseason opponent, the Atlanta Dream, did indeed appear to have the look of a team looking to make huge strides in 2018. Tiffany Hayes scored 16 points, Renee Montgomery contributed 14, and Elizabeth Williams scored 11 with seven rebounds in the Dream’s 78-61 victory over the Sky. 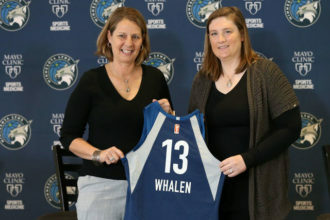 It is not every day that fans in Des Moines, Iowa get to be treated to WNBA basketball – but that is what happened when the Minnesota Lynx faced off against the Washington Mystics at Wells Fargo Arena – the home court of the G-League’s Iowa Wolves. Minnesota managed to make it an 87-85 game late in the fourth quarter, but the final three points of the game would come via Tanaya Atkinson free throws (her only three points of the game) as Washington defeated the Lynx by a final of 90-85. Tierra Ruffin-Pratt had 17 points and Myisha Hines-Allen tallied 13 in her preseason debut in the W. For the Lynx, Danielle Robinson finished with 18 points. The short drive to Indiana for the Sky did not do much to change their early preseason hard luck. Despite 10 each from Kahleah Copper and Cheyenne Parker, the Fever was the beneficiary of 18 points courtesy of Stephanie Mavunga and another 17 via Alexis Peterson equaling a 79-65 victory over Chicago. A series of preseason matchups will take place at Mohegan Sun Arena in Uncasville. 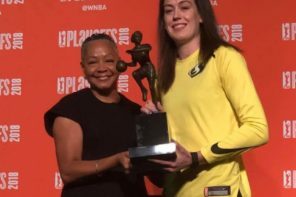 The first of which featured the Dallas Wings and New York Liberty – and a pair of recent UConn draftees in Azura Stevens and Kia Nurse. Stevens’ 19 points and nine rebounds were the difference in what was a 76-69 win over New York. Nurse finished with ten points and recent Liberty signee Marissa Coleman added 14 to aid New York’s cause. The second of the Monday matchups that took place at Mohegan Sun Arena featured the team that calls said arena home – the Connecticut Sun. With less than a second remaining, a Rachel Banham buzzer-beating three lifted the Sun to a 68-65 victory over the Los Angeles Sparks. 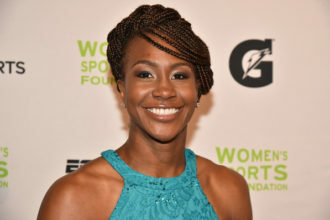 Two of the key Sun figures that are expected to be important pieces for Connecticut in the regular season had big games – Jasmine Thomas who finished with 12 points and the returning Chiney Ogwumike who contributed 10 points along with eight rebounds. The Sun picked up the win despite three Sparks – Shakayla Thomas (17 points, seven rebounds), Karlie Samuelson (14 points) and Cappie Pondexter (14 points) finishing with double-digit point totals.